Juampy provides a range of tools to help the musician to play solo guitar. Starting with the tune “Autumn Leaves” Juampy offers fundamental performace ideas gradually introducing more approaches. Employing diatonic harmonies as passing phrases. Guide tones to create phrases and develop melodic lines. Generating ideas from the Melodic Minor scale. Developing intros and endings to songs are demonstrated as a way of developing a repertoire. Working within or outside of a harmonic center is one of the applications that can be applied to developing intros/ outros. 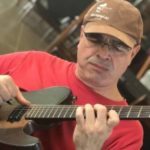 Juampy describes some of the techniques used especially by guitarists as diverse as Lennie Breau, Chet Atkins, Ralph Towner and Jim hall. He gives examples of their signatures sounds, such as Lennie Beau’s use of harmonics within an arrangement. clusters in the style of Herbie Hancock and / or Bill Evans. He shows how to simultaneously play the bass and melody lines. While playing bass / melody lines, he also demonstrates how to provide interesting contrapuntal lines while keeping it swinging. He makes this accessible to anyone willing to do the work. Juampy’s skill is in presenting all of this material in an accessible way that makes you want to try to employ his examples. Within a short time, you will be developing more interesting arrangements which could be the beginning of developing your own repertoire. 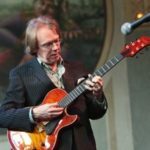 In this video lesson for the prestigious educative site mikesmasterclasses.com I show you my investigations, ideas and experiences on solo Jazz guitar from simple to complex, step by step. Take your time in this beautiful genre, and you will gain a lot! New harmonies, chords and guitar harmonic understanding at a minimum, and the best thing of all is the fact that your guitar tone will begin to “resonate” because when you are alone in front of people, your guitar is your only voice, and it shall start to get stronger of course. In the lesson, you will learn new voicings for your chord melodies, 2 line ideas, how to improvise and comp at the same time, autocomping, intros and outros, modern harmony like quartal chords and clusters, and overall concepts and advice for get better in this style. Standards, blues and bossa nova are covered here. This class if over an hour long and includes 12 pages of written material in standard notation and TAB.